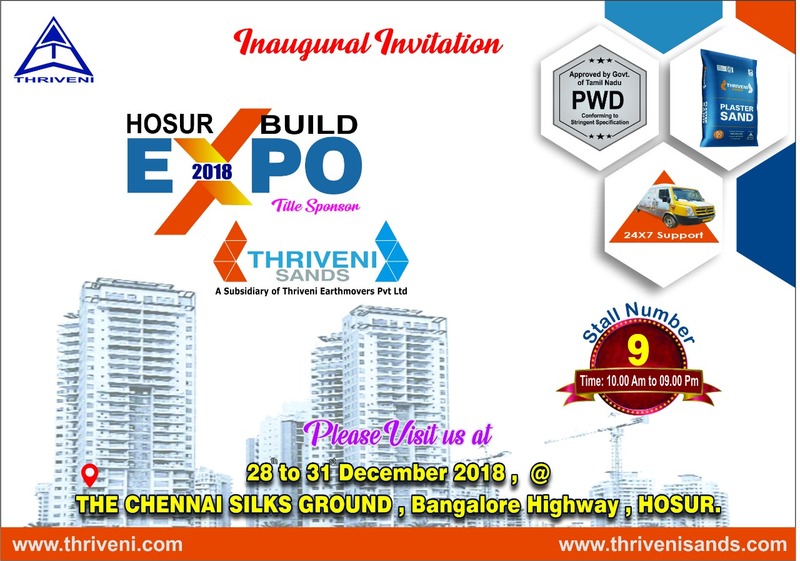 Thriveni Sands participates in Hosur Build Expo 2018. Thriveni Sands participates in the Economics Times ACETECH 2018 at BIEC - Premier International Exhibition Centre, Bengaluru from Oct 26 to Oct 28, 2018. Visit us at Stall No. A 16 in Hall 1. Thriveni Sands would showcase its expertise in aggregates and manufactured sands. The Economic Times ACETECH is a leading trade fair in Asia for architecture, building materials, innovation and design and only third-of-its-kind in the world. 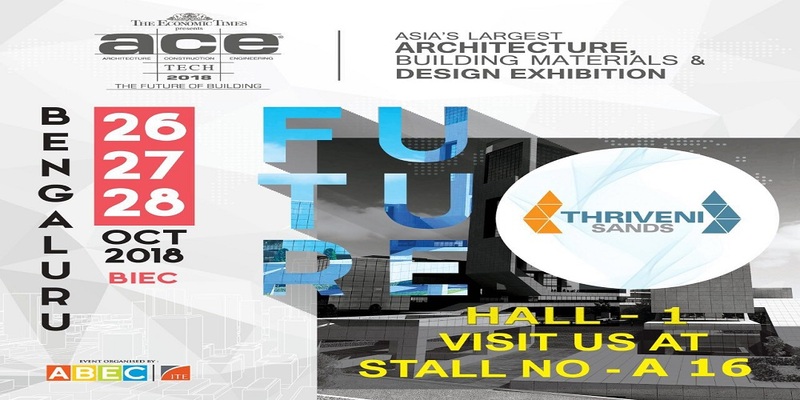 This unique forum offers opportunities to not just exhibit but also to create a long-lasting impression on the decision makers of the architecture, building materials, innovation and design industries. ET ACETECH curates an exclusive exhibition to incubate and support innovation in the industry.